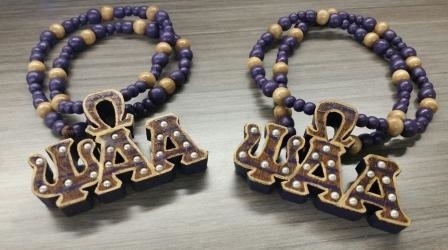 These are hand-crafted solid oak chapter tikis with solid wood beads. The pearls are embedded in the wood and finished with enamel. They can be made for any chapter. The chapter charter year is inscribed or painted on the top. PLEASE ENTER YOUR CHAPTER AND CHARTER YEAR WHEN ORDERING.